• Getting tired of the home you’re in? Why not build a custom home, perfectly suited to your lifestyle? How many times have you wished you lived in a home that was more suited to your lifestyle? 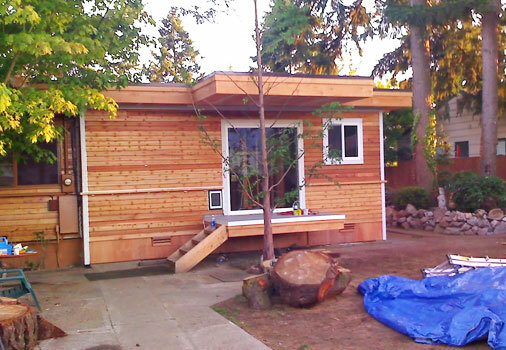 Some Olympia homeowners wish their house was smaller, and others wish their home was bigger. Others with they had a shop or garage where they can work on DIY projects or hobbies, and many people simply want to simplify their life with a home that requires little upkeep. While it’s fairly common to dream about a particular home, few people have the skills needed to design and build a home. However, you can turn your ideas for a dream home into a reality with our help. With years of experience in the Olympia area, we’ve been building dream homes for clients that allow them to live the life they’ve always wanted. 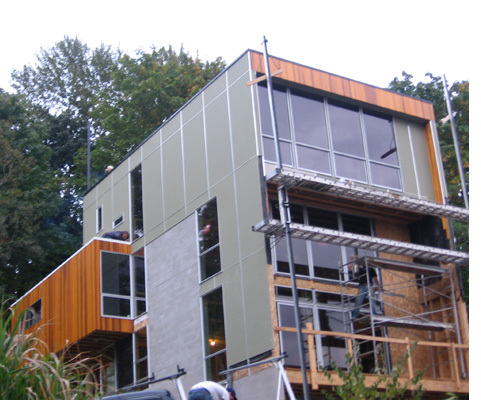 From tiny homes to multi-story mansions, no home building job is too big or too small, and we offer the same professional to care to all of our clients regardless of the scope of the project. Building a home is one of the most exciting times in your life, but it can be scary. You’re making a significant investment, and you need to trust that your Olympia home builders will get the project done on time, and within budget. At Mike Winter General Contractor, we work directly with every client so that we can turn their dream into a tangible reality, creating a home that is an extension of self rather than just a place where one eats and sleeps. When designing and building a home, the details matter, so it makes sense to work with a contractor experienced in every phase of the process. The first step you should make when considering your own home construction is to find a contractor that can work with you on everything from the design to completion of your home. There are many factors to consider throughout this process, but much will depend on how your want your home to address your lifestyle. You may be happy with a predesigned home, or you may want to customize every feature right down to the type of fixtures used on sinks and bathtubs. Either way, our goal is to build your home with your considerations in mind. • Will it be necessary to demolish an existing home? • How many square feet will the new home be? • Are you choosing a predesigned home or custom designed home? • What materials will be used for home flooring, siding, windows, etc? • Will the home have multiple floors? • What type of roof will you build on the home? • What kind of heating, cooling, and ventilation system be used in the home? Obviously, this is just the beginning. Many more details will need to be discussed with our Olympia home builders, and some design aspects may change once construction is underway. Whatever the case, we will continually work with you to address any challenges and always keep the lines of communication open. The challenges of building your home are many, but it’s also one of the most exciting times in your life. By creating a custom living space, you simplify your life in ways you simply cannot imagine until you’ve lived in the home for a few months. As professional Olympia home builders, we love seeing the smile on our client’s faces when they first set foot in their new living space. We believe that happiness ultimately lies in the details, so we are meticulous about every phase of the home design and building process. • Custom Home Builders – Customization goes a step further than overall home layout. You may want to add features to your home that create warmth or increase light distribution. You can accomplish this with custom windows or wood floors. You may even want to build a custom home that explores some kind of theme by adding retro flooring or fixtures. Are you ready to experience life in the home you’ve always dreamed of? Contact Mike Winter General Contractor today, and let us help you bring the spark of an idea to life.